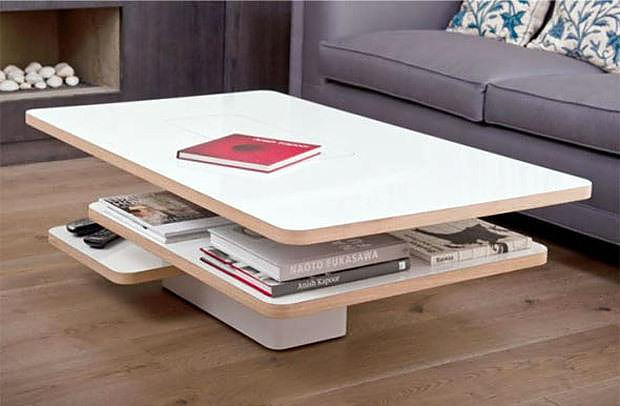 HomeBlogHome DecorStasis Coffee Table by Jake Phipps. 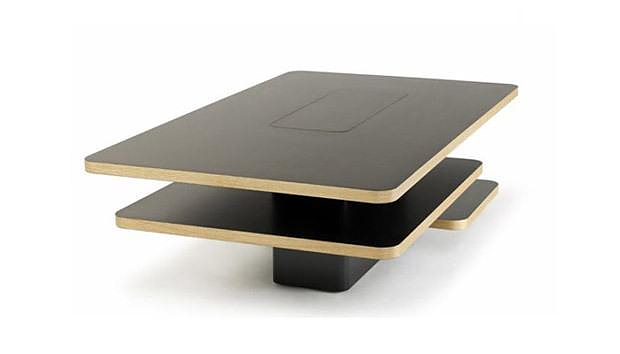 Stasis Coffee Table by Jake Phipps. The Stasis Coffee Table by British designer Jake Phipss is a multi-tiered low table inspired by the flat roofs and smooth facades of Bauhaus architecture, but at the same time is embodies a peculiar futuristic element. 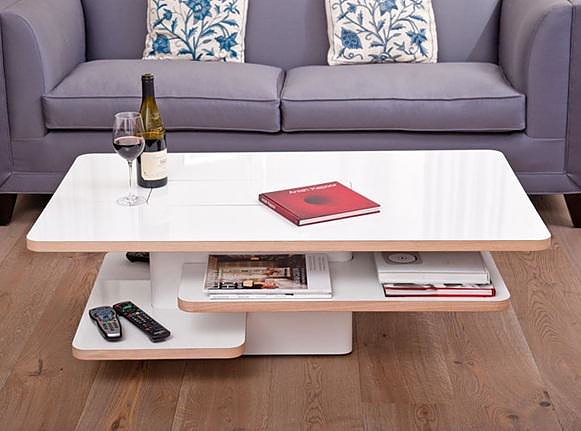 The term “Stasis” denotes a pause that stops all physical processes, just like the multiple storage zones of the Stasis Coffee Table that simply suspend one on top of the other. 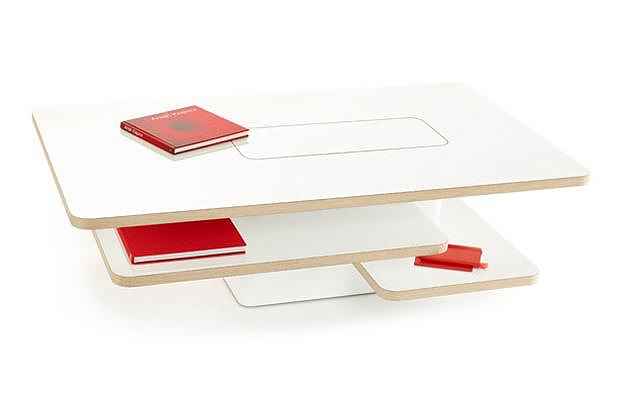 The change in size and placement of each tier bring both a physical and visual balance to the table, whilst also offering a range of storage zones to cater for the dimensions of the table’s contents, and the user’s personal preferences. 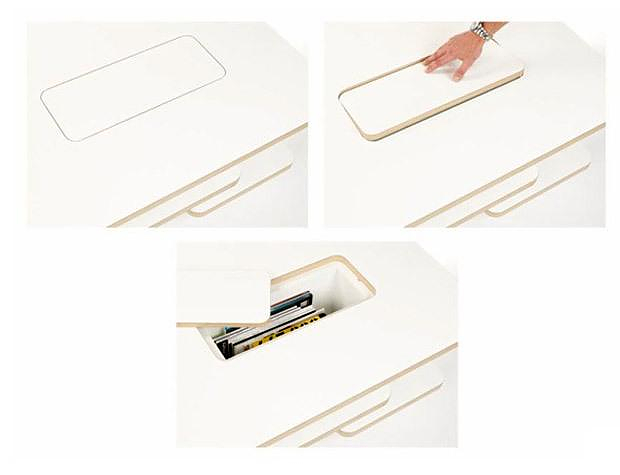 The finishing touch is the hidden book and magazine storage compartment. 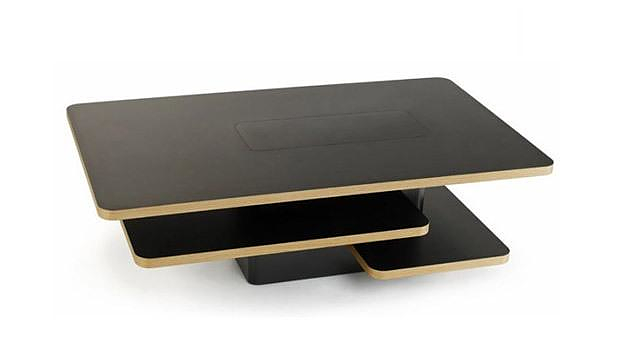 The Stasis Coffee Table is a solid design that stands out without unnecessary bells & whistles. It is one of those complex yet archetypal designs that can be placed in any décor, regardless if it is overly modern or overly classic. 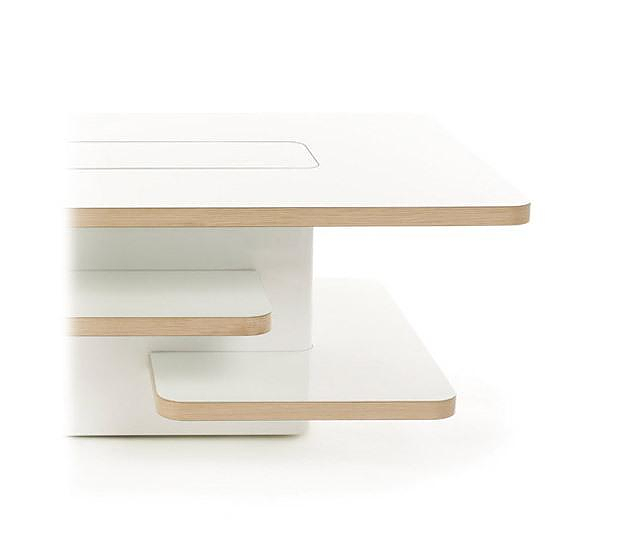 Tupolev Table by Colico Design. Treeangle a table/vase fusion by Anna Strupinskaya.